Head office: registered head office: via Amendola 199/A, Bari 70126, Italy, - tel. +39 328 433 6168 - info@mignonpotenza.com P.iva 01749220720, enrolled at the chamber of commerce of Bari at number 535900, Estate Agent number 3164. 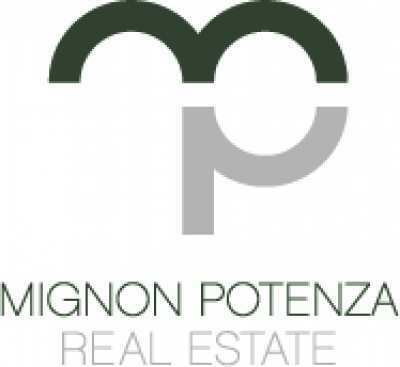 This report has been written to present the principles of confidentiality that Mignon Potenza Real Estate (hereinafter named MPRE) uses in regards to the client’s data, included those gathered through this website. In this page you can find the website management modes related to the processing of the users’ personal data. It is an information report released pursuant to art 13 of the legislative decree n.196/2003 (privacy code) addressed to those who use the web services of www.mignonpotenza.com. This information report is only valid for this website, not for other websites that the users could eventually visit clicking on links in this website. Surfing in this website you implicitly state to have understood and accepted the processing modes here described. MPRE’s data processing is carried out by the employees and cooperators of the head office, by the partner and affiliated agencies in relation to the service required, by other companies that deal with IT management and commercial advice. The personal data provided by the users who are asking for information or subscribing to newsletter are used with the aim to provide the requested service. This data can be used by the company for the following purposes as well: a) management of the relationship with the client; b) economic activities of the company; c) other purposes related to the the company’s activities (for instance, to improve the offered products and services, even though not strictly linked to those required by the interested person; market researches on the client’s satisfaction, etc). If it will be necessary to gather data to identify the users in order to provide them with a specific service, the users are asked to voluntarily insert the required data, and those will be exclusively processed to supply such service. If the users ask for more information or want to schedule a visit to the property, they will be required to provide names, surnames, addresses, phone numbers, email addresses for the only purpose of processing the users’ request. MPRE uses email addresses to send confirmation of the request and, if necessary, can use the other details to contact the users, in order to obtain useful data to process the request. Users can revoke their consent to receive marketing communication any time. They can also revoke their consent to be part of the surveys. As specified above, MPRE provides information on new properties for sale, promotions, special offers and other information linked to the specific preferences of the users. MPRE could send this information both by mail and phone if the user will have expressly authorized it by flagging the related checkbox. If at any time the users wish that their data are not to be used for marketing purposes, they can contact the customer service by email at the address info@mignonpotenza.com. If the users will deny the consent to the data treatment for marketing purposes, they will never receive any commercial information and their data will be solely used to answer their requests. The IT systems and the software procedures of this website capture some personal data during their normal work. The transmission of this data is implied in the use of the internet communication protocols. This information is not collected to identify the users, however, these could allow the identification because of their nature and through associations with data hold by third parties. This category includes IP addresses or the names in the domain of the computers used by the users who are connecting to the website, the URI addresses (Uniform Resource Identifier) of the required resources, the date and hour if the request, the size of the answer file, the numeric code indicating the status of the reply given by the server and other parameters linked to the operating system and IT environment of the users. This data is used to obtain anonymous statistic information on the website’s use and to check on its correct operation, the data will be erased just after being processed. The data could be used only by the judicial authorities to investigate in eventual IT damages against the website. Cookies are data packets created by the server and stored as text files in the hard disk of the users’ computers through the browser. Cookies allow the operation of this website, the use of specific functions explicitly required by the user, or they customize the navigation using the most interesting contents for the users, taking in consideration the choices that the users themselves have previously made. Cookies can be permanent (permanent cookies) or limited in time (session cookies). This website uses both, the session cookies are not stored permanently in your computer, they vanish after the browser will be closed. The permanent cookies are needed to customize the navigation according to the device the user will be using (computer, tablet, smartphone) just like third parties’ cookies are needed to analyze the web site accesses, and to allow the users to share the website’s contents through social networks (FB) or email. These cookies are permanently stored in your computer and have different lasting times. Google Adwords & Google Remarketing Cookies The internet website can use the program of Google Adwords and the technology of Google Remarketing. Users can disable the cookie responsible for the tracking of Google conversion in their Internet browser settings. In some cases, the cookies can cause some problems during the entrance or during the navigation within your AdWords account. When this occurs, the best way to fix the problem is to clean the cache and cookies from your Internet browser. To know more click here https://www.google.es/intl/it/policies/privacy/. The user can disable the cookies of Google Analytics downloading the special plug-in of the browser, available on the following url https://tools.google.com/dlpage/gaoptout. The user can refuse the registration of persistent cookies on his hard disk by configuring his web browser on disable-cookies mode. Find out how to block the cookies in the main browsers: Chrome, Firefox, Internet Explorer, Safari, Opera. However, in the result of this action, some functions of the webpage can be done incorrectly. The consent of the user can be achieved in explicit form once he presses "accept" in the banner or continues the navigation in the other area of the site, or selects an element of the same webpage (for example, image or link). The optional, explicit and voluntary e-mail sending on the addresses indicated on this website or in fill-in forms, involves the subsequent use of the sender’s e-mail, necessary to respond on requests, as well as the use of any other personal data, included in the message sent by the client. The user is free to provide his/her personal information in the fill-in modules of request or elsewhere on the web site to apply for informative material or other communication. The missing conferment does not make it impossible to fulfill the request in anonymous form. The personal data are treated with automatic tools in a period of time, strictly necessary to achieve the purposes for which they were collected. Special security measures are used to prevent the loss of information, illicit or incorrect and unauthorized access to the database. Your personal data will be treated with automatic tools in a period of time, strictly necessary to achieve the purposes for which they were collected. Special security measures are used to prevent the loss of information, illicit or incorrect and unauthorized access. The user has always a right, at any moment, to receive the confirmation of the existence or absence of the data concerning his person and to know the content and the origin, to verify its correctness or to ask about the changing or updating, or rectification (art. 7 of leg.decree num. 196/2003). According to the same article, you have a right to ask the cancellation, the transformation into anonymous form or the blocking of data processed unlawfully, as well as to disable in any case their processing for legitimate reasons.